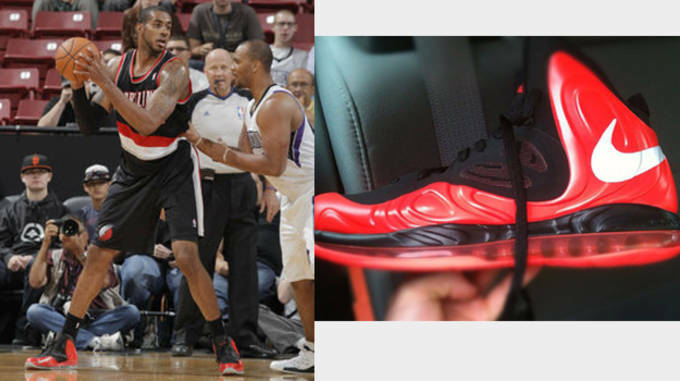 The 2012-2013 NBA Season has started off strong and the sneakers worn by some of the league’s most efficient scorers have all been solid choices. Everything from Retro Air Jordan’s to modern day performance models can be seen when you turn on your flat screen, making the selection well-rounded and just as fun to watch as it was back in the &apos;90s. Check out What the 25 Best Players in the NBA Wear and Why. 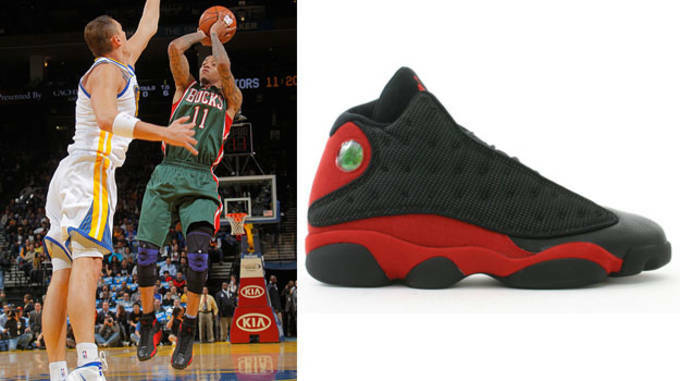 Preferred Sneaker: Anything Retro... Monta has been seen rocking some heat during game time and it&apos;s nearly impossible to know which classic Air Jordan he will lace up next. Since he has been seen wearing numerous Retro models I&apos;ll just tell you which is the best to play in from my perspective. The Air Jordan XIII. Key Tech Elements: Heel and forefoot Zoom Air, wide stable base, and a herringbone traction, An asymmetrical collar for range of motion and lock down fit. Why They Match his Style of Play: Slashers & scorers need solid traction and superior lock down in order to maneuver freely without hesitation. Comfort isn’t quite as important but it&apos;s always nice to have some low profile responsive cushion sitting under your feet while you rack up points. How It Will Work For You: In my personal opinion... this is the greatest performing Air Jordan of all time – at least as far as the &apos;classic&apos; Retro models are concerned. You get a little bit of everything all wrapped up in one solid looking package. Why They Match his Style of Play: The low profile allows him complete range of motion while the Lunarlon evenly distributes impact with each and every step. They also feature full length herringbone so traction is pretty solid for his quick cuts and changes of direction. How It Will Work For You: The Hypergamer Low is equipped with solid performance tech and it can be found at an affordable price. Most of the Hypergamer models went to outlets so if you see a pair... grab one and thank us later. Why They Match his Style of Play: Security and durability are two attributes that are greatly appreciated by players who consistently take it to the hole. 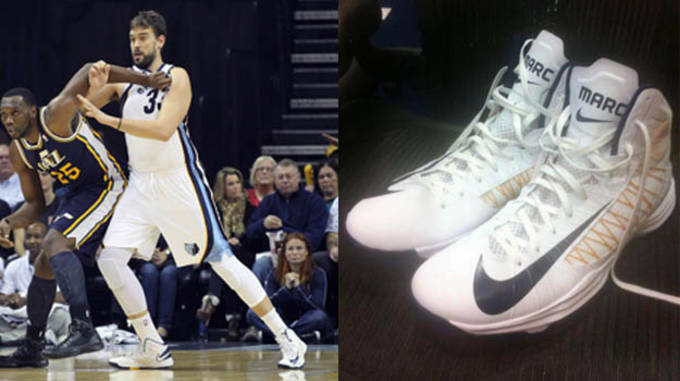 Rudy can rest assure that the Hyperfuse will remain in one piece while providing him with excellent lock down. 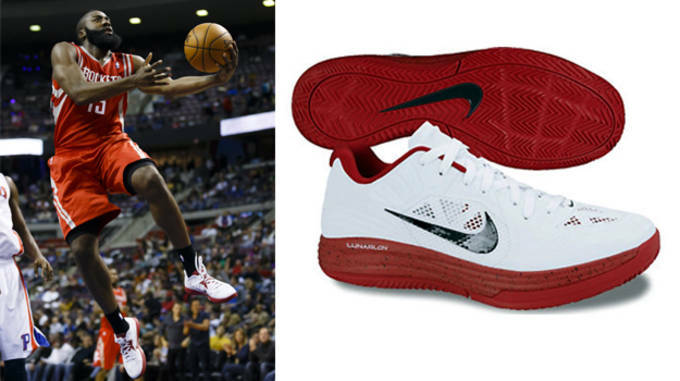 Responsive forefoot Zoom Air also helps him stay comfortable as it remains responsive while he plays on his toes. How It Will Work For You: Affordable and beginning to hit sale prices, the Hyperfuse has been a solid performance model since it&apos;s debut and each year continue to gain popularity amongst indoor and outdoor ballers. 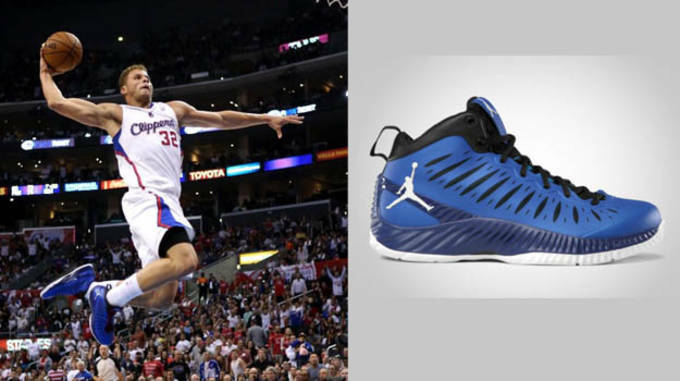 Why they match his style of play: Pau is a little on the big side to be wearing the Hyperdunk but he is also pretty light on his feet making the match-up unique. High flying isn’t in Pau&apos;s repertoire and while the Hyperdunk is light in weight, they are so versatile that a nimble big man can easily utilize their performance attributes. How It Will Work For You: Why not? 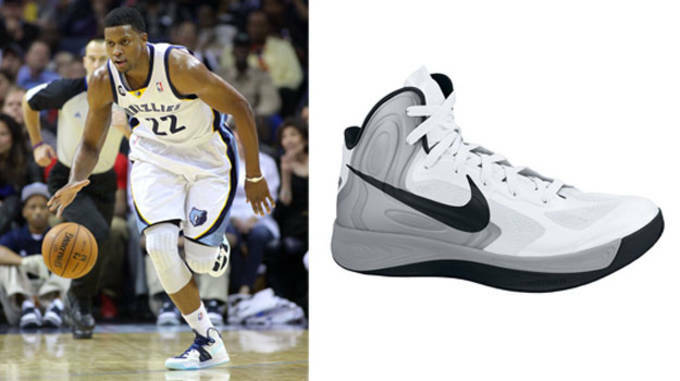 The Hyperdunk isn’t Nike&apos;s most popular non-signature performance model of all time for nothing. Just don’t waste your money on the Nike+ version... the basic $140 pair will suit you just fine. Why they match his style of play: These are fast. The Under Armour Torch is meant for low to the ground players who move around a lot. Kemba can change direction quickly and will need responsive and resilient cushion in order to keep up with him. Say hello to my little friend, the Micro G.
How It Will Work For You: One of our personal favorites this year, if you are a fast paced PG these are for you. Under $100 pricetag with plenty of colorways to choose from, this is a great performance option without breaking the bank. 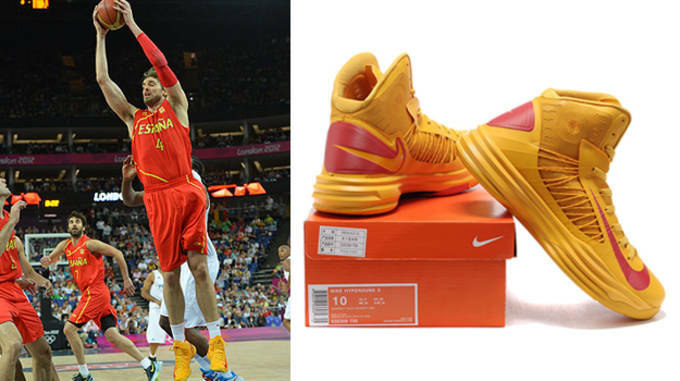 Why they match his style of play: Just like Pau, Marc is a big body that you wouldn’t expect to see wearing the latest Hyperdunk unless it had Air Max in the name. This just shows the versatility of this year&apos;s Hyperdunk as it is more than capable of supporting even the largest of players. How It Will Work For You: Versatile and supportive, worth anyone&apos;s time. 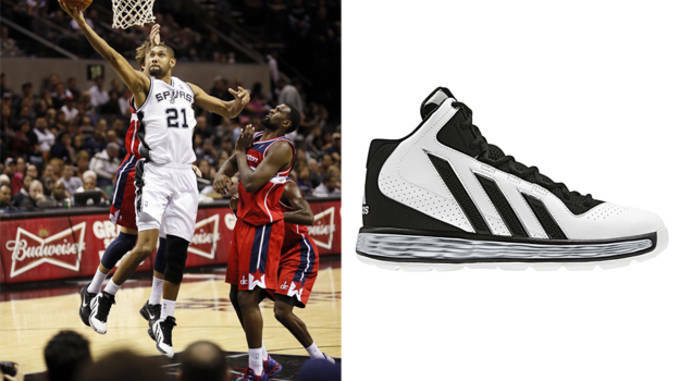 Why they match his style of play: The Flight Team 11 is an "every man" shoe. Lightweight, comfortable with premium traction and ventilation, these offer everything most players want. 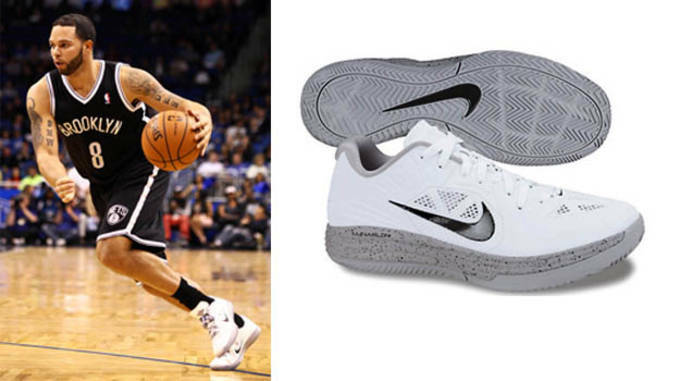 When you are as well rounded of a player as Joe, you want your footwear to offer the same. How It Will Work For You: These are a versatile shoe. Traction, cushion, ventilation and fit are all available to you. They pretty much offer you everything you could want in a shoe, plus that Jumpman logo. Cha-ching! Why they match his style of play: Besides having his name on the tongue, the higher cut, TORISION support system and Alive cushion all benefit someone as large and quick as Dwight. He isn’t your typical Center and his shoe isn’t your typical "big man" shoe. 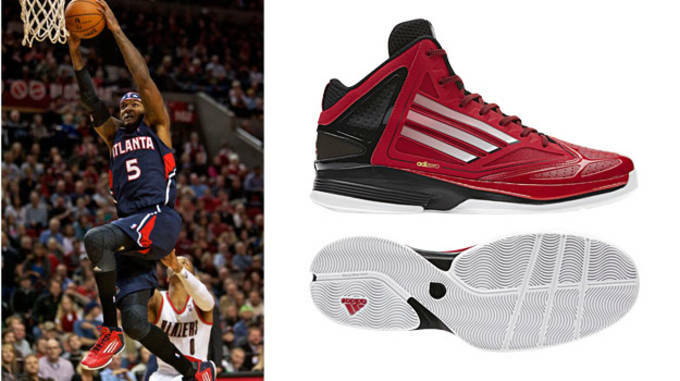 How It Will Work For You: Even as a Guard, the Howard 3 is a great on-court option. Traction and cushion are both fantastic and if you are afraid of low tops, these are a worthy substitute. Plus they only cost $110. 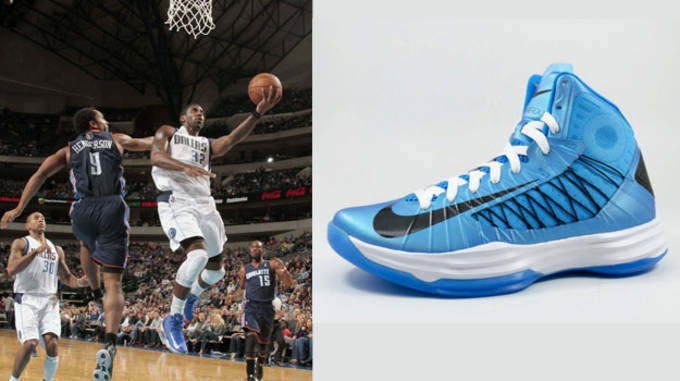 Why they match his style of play: In case you haven’t noticed... the Hyperdunk 2012 can be worn by any and all players. 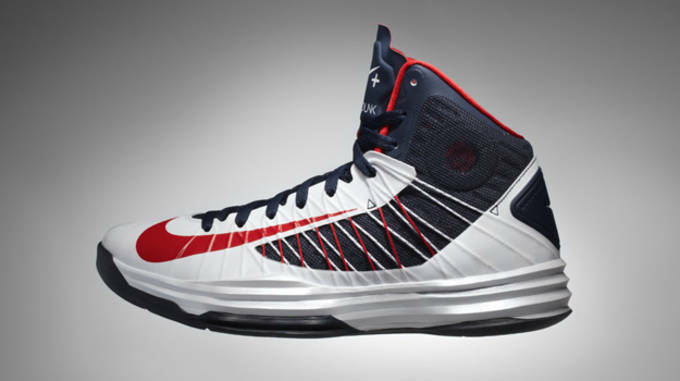 From the 1 to the 5 spot, you are covered in the Hyperdunk. And seeing Kyrie breaking ankles in them sure makes them look cooler too. How It Will Work For You: Not to sound repetitive, but the Hyperfuse is a performance favorite. Preferred Sneaker: Blake broke out the Air Jordan XI Retro on Veterans Day but we&apos;ll stick with the Jordan Super.Fly as he has worn these on a regular basis. Why they match his style of play: Being a combo Forward, the Super.Fly is one of the best combination performance models this year. Featuring plenty of tech that is suitable for Guard play or larger PF play. Since Blake likes to spend half his time on the ground and the other half in the air, the Super.Fly matches his style of play perfectly. How It Will Work For You: This is one best combo performance models this year. Its adequately priced and will give you plenty of cushion and support. If you are patient enough to allow the traction and upper some break-in time, these will quickly become a favorite on-court option for you as well. Why they match his style of play: Like we mentioned before, the Super.Fly is one of the best combination performance models available at the moment. They’re strong enough to take a pounding in the paint with Blake and they’re agile enough to fly with Westbrook. 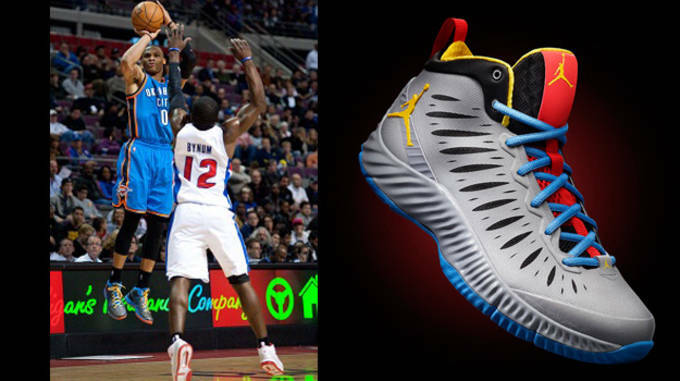 I will say this though… I think the Jordan Aero Flight needs to be on Westbrook’s feet. He is the only Jordan Brand member that truly fits that sneaker in terms of position and performance attributes… that and someone has to push the product. You shouldn’t have half of your athletes wearing Retro models while the other half all wear the same shoe when you have quite a few options available in-store. How It Will Work For You: The Super.Fly is a great shoe. Plenty of cushion and support plus they are durable. However, you should take the time to try on the Jordan Aero Flight as well… think of them as the Jordan Brand version of a Hyperfuse… just prettier. Why they match his style of play: Just like Harden, Williams is an ankle breaker. Running point isn&apos;t as easy as Deron makes it look but having the appropriate footwear helps a bit too. Traction and fit are key components that a Guard would love while cushion and mobility aren’t too far behind. How It Will Work For You: If you are looking for a well rounded Guard shoe that wont break the bank, the Hypergamer Low may be just what you were looking for. Why they match his style of play: Being fast and fierce night in and night out can take a toll on you. So having a lightweight and supportive sneaker is something special to behold. With ample traction and some of the best torsional support around, the Ghost 2.0 can keep up with Josh no matter what. How It Will Work For You: This is another bang for your buck performance model as it will run you only $100 but offer you premium performance. Why they match his style of play: These are basic sneakers. Straight up with no thrills and no frills, just like good ol&apos; Timmy. How It Will Work For You: This is what I like to call a fundamental sneaker... they may not wow you with tech but they don’t lack in the performance department. Finding a pair isn’t easy but if you do a simple Google search then you can usually find a pair for $75 or less. 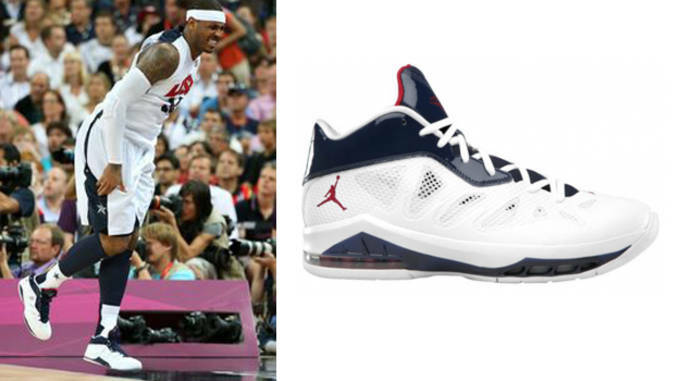 Why they match his style of play: Now this is a big man shoe with subtle elements that faster players would enjoy. They are strong and resilient but soft at the same time as the 360 Air Max gives you a but of finesse. 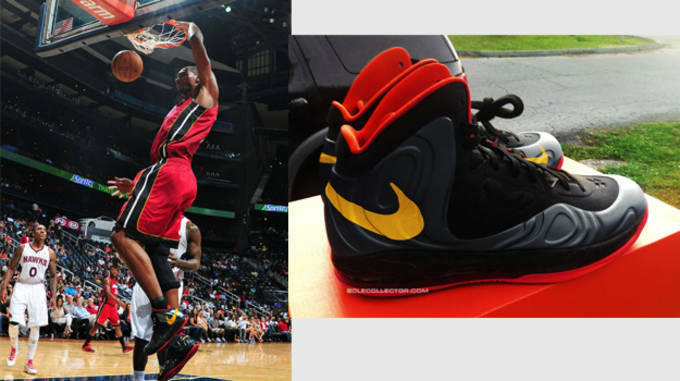 How It Will Work For You: If you are a big man or you just like Max cushion with on of the best custom fits only Foamposite can offer then you must give these a go. 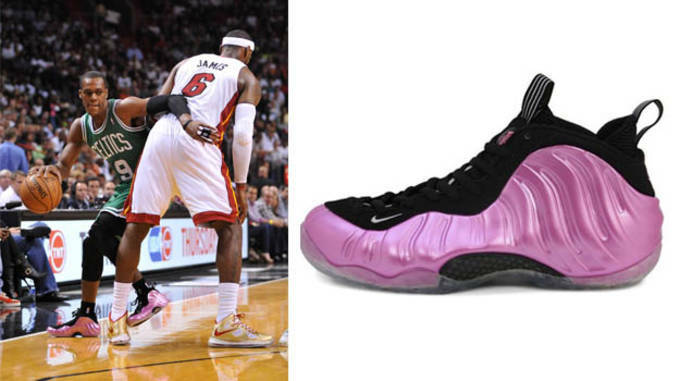 I must say that this is the best use of Foamposite to date and one of the best big man shoes this year. 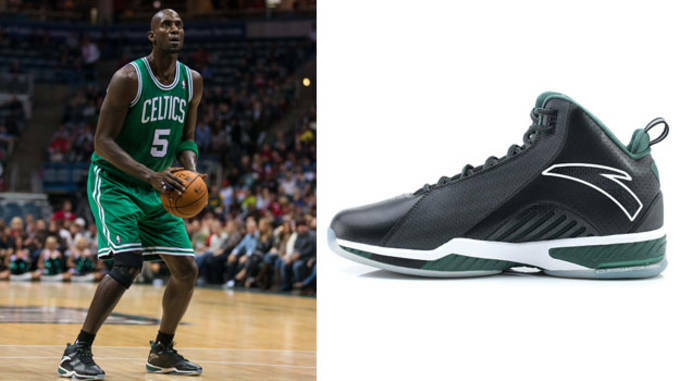 Why they match his style of play: Since I don’t know much about the brand or the KG III (being an Asia-only shoe) all I will say is that they were made for Kevin. That and he probably gets a pretty good pay check to wear them on-court. How It Will Work For You: Unless you live overseas, these won&apos;t be easily obtainable. 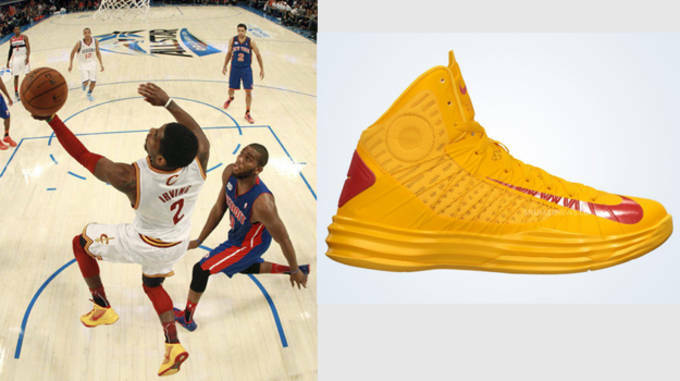 Why they match his style of play: It&apos;s a Hyperdunk... they&apos;ll match anyone’s style of play. Luckily for O.J., his chance to shine has finally come as Dirk sits out recovering. Mayo has moved into his new role nicely and has the proper footwear to get the job done. How It Will Work For You: If you haven&apos;t realized that the Hyperdunk is one of the most versatile on-court models out there, there is really no hope for you. Why they match his style of play: They actually don’t. Sure, they have responsive full length Zoom Air but they fit isn’t too spectacular until they mold to your foot... and that can take a while. Traction is nice and sticky on pristine floors so that is something to enjoy. I think his choice may be based on looking good rather than pure performance. How It Will Work For You: Unless you have many hours to spare for the extensive break-in process, I recommend you rock these casually as most people do. However, if you are able to put up with the grueling break-in period, they can be a great hoop shoe. 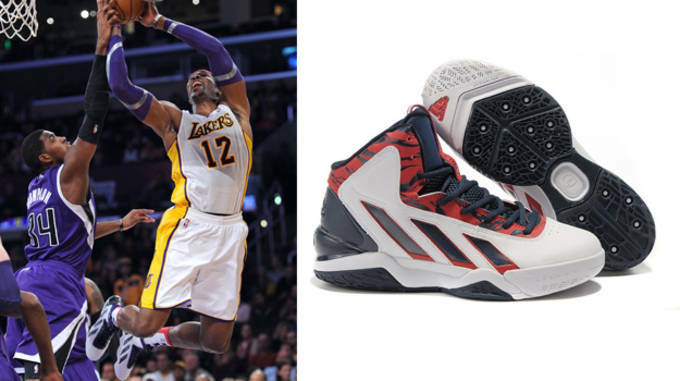 Why they match his style of play: Again, these are built for big men but are able to keep up with quick movements. Traction, cushion, material, fit and support are all great... they&apos;re nearly flawless. How It Will Work For You: If you are big and look for nothing but the best then give these a go. If you require more flexibility then you may want to go with an adidas model but if you liked the LeBron 8 then you will love these. 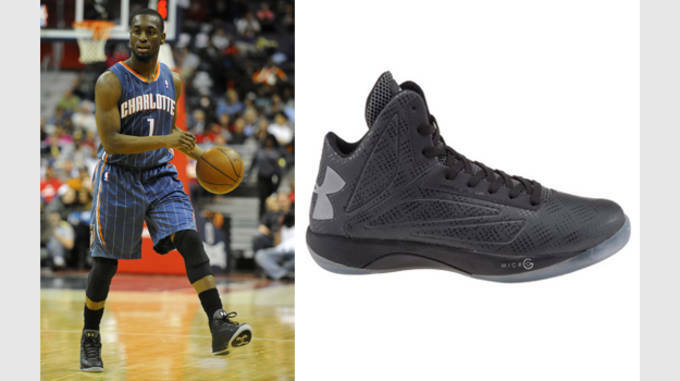 Why they match his style of play: Everything about the CP3.VI resembles the way he plays. This is the best CP3 to date and they are aggressive enough to keep up with one of the most aggressive PG&apos;s the league has ever seen. 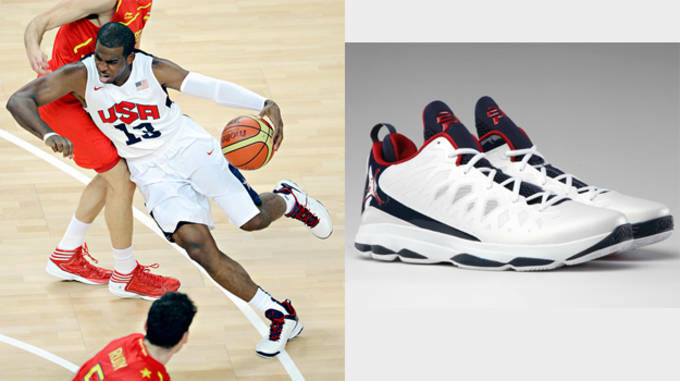 How It Will Work For You: Another personal favorite of mine for 2012, the CP3.VI offers you the best traction that money can buy. I was tired of story telling patterns that make no sense being on a court so seeing Jordan Brand finally brings things back to basics was a breath of fresh air. Spend the $120 and you won&apos;t be disappointed. 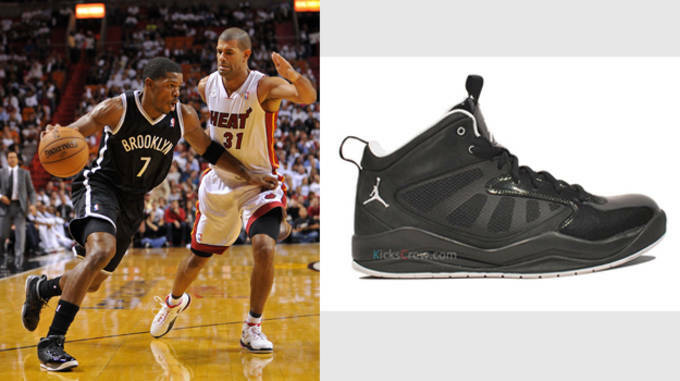 Why they match his style of play: Another combo player with a sneaker to match. The large forefoot Zoom is incredible while the heel Air Max unit will keep you protected. With Melo&apos;s jab-step, he needed a shoe that would be able to retain its shape, and the Hyperfuse construction of the Advanced Melo M8 provides him with just that. How It Will Work For You: The Melo M8 was on this list for a reason. 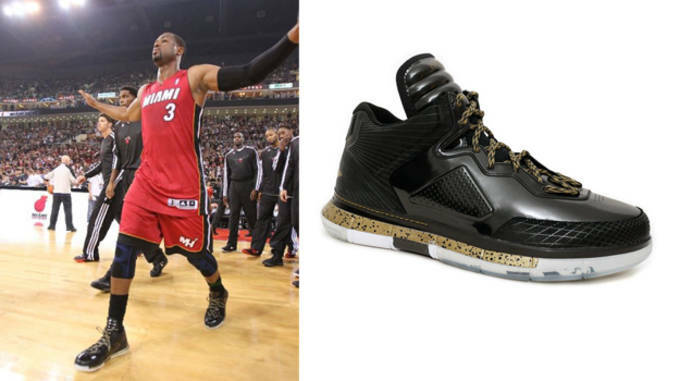 Why they match his style of play: Apparently Wade had spent a lot of time with Li-Ning designing the Way of Wade so we assume that they match his preferences perfectly. Since not much is officially known about Wade&apos;s new signature, we&apos;ll just have to let his game speak for itself. How It Will Work For You: This is another one that can&apos;t be easily obtained. With two super limited releases, one in the U.S. & the other in China, it&apos;s almost as if Li-Ning doesn’t want you to have them. Why they match his style of play: Again, this is a signature. Not only that, it&apos;s a Nike signature. They take their time creating a shoe that is perfect for the player, not so much the consumer. 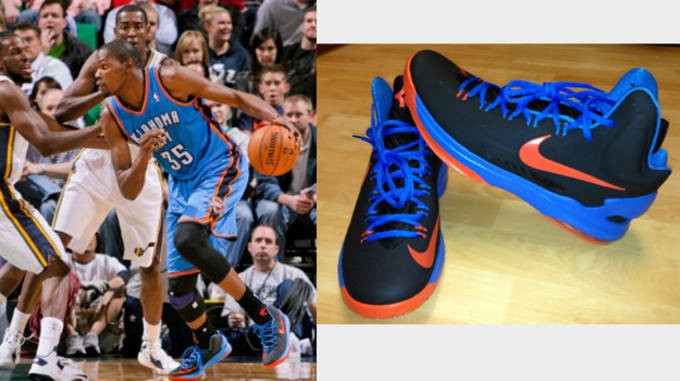 The KD IV was a perfect example of that, either you loved it or you hated it. How It Will Work For You: That remains to be seen as they haven’t released yet (unless you count NIKEiD) but we shall soon find out as they are due out in stores this December. Why they match his style: of play: Low, lean and mean. The Black Mamba wants what the Black Mamba wants... and for his 7th signature... he wasn’t too sure what he wanted so they gave him options with the modular system. 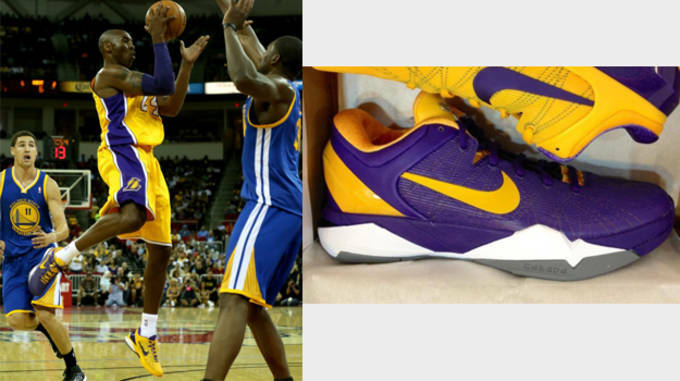 Kobe has had some great games and he has had some terrible games in the VII. We&apos;re ready for the Kobe VIII to drop. How It Will Work For You: If you love low cuts with Zoom Air then the latest Kobe is always worthy of an in-store try-on. Just give them some time to break-in and you&apos;ll be ready for the Kobe VIII too. 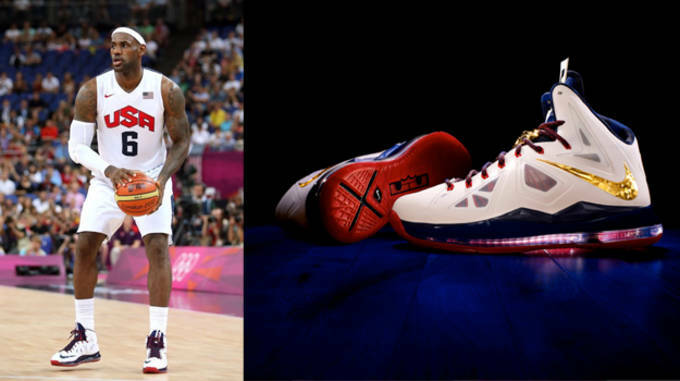 Why they match his style of play: Engineered to the exact specifications of Mr. LeBron James... enough said. How It Will Work For You: The 360 degree Zoom Air is totally awesome. If you are a Guard then there are better options but for all the 3-5&apos;s out there, but take a go in these.